Consumers are now able to wash just one or two garments instead of a full load of laundry with the new Miele SingleWash feature. It gauges water and electricity consumption as well as cycle time to meet the precise needs. Depending on the absorbency of the fabric, as little as 1 to 2 litres of water per kilogram of laundry will be used. As a result, just half as much water and around 60% less energy is used, and there are additional time-saving benefits. In the Minimum Iron 40°C programme, for example, the cycle lasts only 39 minutes without compromising on wash results. SingleWash is accessed on the new Miele WCE 330 washing machine (pictured) as a select feature of Miele’s patented PowerWash 2.0 technology. In the Spin&Spray cycle, multiple bursts of spinning and the simultaneous spraying of the washing load results in the need for much less water, also reducing the energy demand of the wash. At the same time, PowerWash 2.0 adapts precisely to the actual load size. Of the new models, the WCE 670 and WCI 670 feature Miele’s TwinDos automatic detergent dispensing system, which conveniently and accurately dispenses detergent. 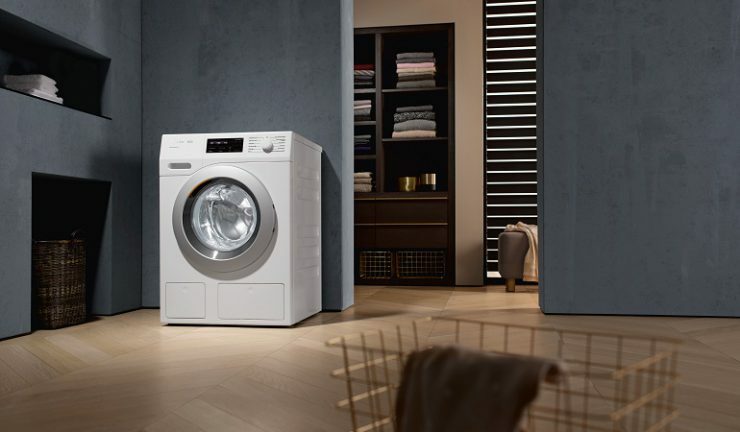 Furthermore, the new W1 Miele washing machines have a ComfortSensor display, while select models are Wi-Fi-enabled, as a consequence of Miele’s WiFiConn@ct, and may be connected to the home wireless network using the Miele@mobile app. The new 8kg Miele WCE 330 (SRP $2,199), 8kg WCE 670 (SRP $2,199), and 9kg WCI 670 (SRP $2,699) washing machines are available from Miele Experience Centres and Miele Authorised Retailers nationally as well as the Miele online shop.